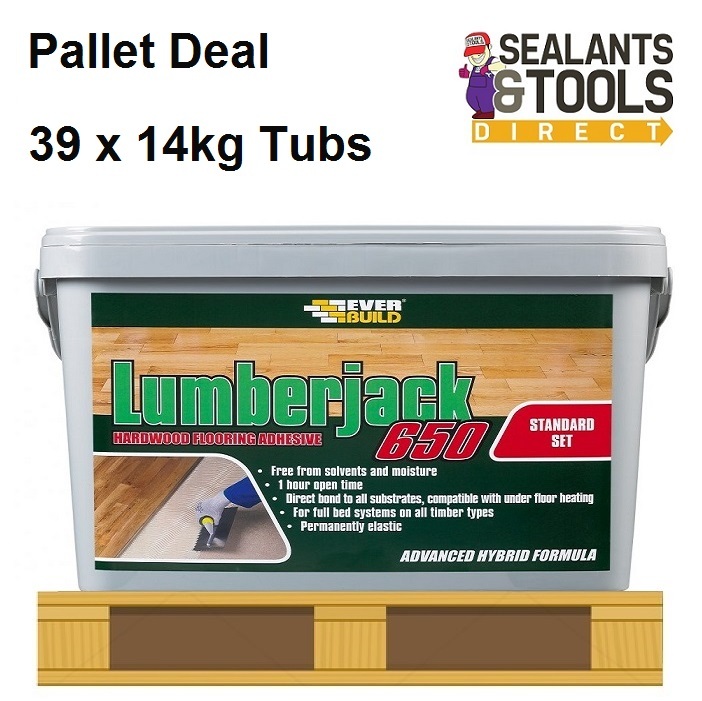 Lumberjack 650 is a high specification Wood floor adhesive. Specifically designed for fixing all types of wooden floors directly onto most substrates. Lumberjack 650 is totally water and solvent free. Lumberjack 650 has an extended open time approximately 60 minutes. 60 minute open time making it suitable for large area application and ease of adjustment. Will not cause warping or curling of wood, blocks, planks. Permanently flexible compensates for sub-floor movement. Will bond wood directly to all common sub-floors, e.g. concrete, wood, metal, ceramic tiled, vinyl, marble, granite & most natural stone floors. Full bed elastic product gives excellent sound deadening & acoustic properties. Normal usage 0.5kg to 1.0kg per meter square.